In this lesson we're going to learn the basics of alternate picking, and why it's important for things like speed building and timing with your guitar playing (and especially with lead/soloing). If, up until now, you've been only down picking your riffs and licks (which most beginners do - I did), you'll really appreciate learning to alternate pick. You'll be able to pick a lot faster, more economically and you can apply it to most licks and riffs. Simple - instead of just down picking a string, you pick using down and up stroke movements (e.g. down-up-down-up-down-up etc.). Now, when applied in practice, you'll have to get used to the extra control needed with the physical aspects of alternate picking. Notice how I keep my picking movement tight around the string I'm playing. This is important for avoiding hitting unwanted strings. If you can be self-disciplined with your timing, you'll master this very quickly. 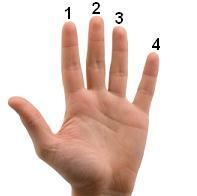 First, you need to develop the ability to pick consistently to, say, a click track (e.g. metronome) or a beat and stay in time to the rhythm. When I first started out, I found it helped to count the down strokes in groupings of 4 and then add in the up strokes as the "and" in between. It might help you too... try it! Each string will feel different when alternate picking. You'll notice that you have to keep your picking sweep tight around the string to avoid hitting any unwanted strings above or below. At first, you'll accidentally hit strings around the string you're supposed to be picking - it just takes time - start slow, and build up speed gradually using a metronome. Speed is the last thing to master - first, focus on perfecting your timing and string accuracy, then, and only then, can you speed up. Move in increments of 10bpm on the metronome. Sounds obvious... but you need to learn to change string, like you would in most riffs, and not let it interrupt your pick timing. Beginners can often get "derailed" when they try to change string during a lick. down-up-down-up *change string* down-up-down-up *change string* etc. Let's try a different scale for this - the major scale. Using one pick stroke per note, play through the major scale below. Remember, use a metronome to speed up gradually, starting at around 80bpm and increasing by 10bpm when you can play comfortably at the current tempo. OK, once you're comfortable with playing the above exercises at a speed you're happy with, we can move onto something a little more complex! Creative soloing jumps around scale patterns as well as playing them in a linear kind of sequence. You need to be able to alternate pick smoothly with irregular string switches. 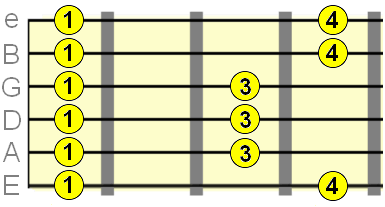 The average listener will just hear a sequence of notes, but you, as a guitarist, have to physically co-ordinate jumps between strings and fret intervals. Try out the exercises below keeping that strict, down-up-down-up, picking motion. Remember to start slow and speed up gradually. You want your picking to be clean and consistent with no mistakes before you notch up that metronome. Have patience and persistence. It'll take a while to co-ordinate your pick and fret hand changes on patterns over more than a couple of strings, but keep at it and your "muscle memory" will soon set in! I highly recommend using this finger trainer to help develop your picking speed and timing. Take your fingers to the gym! Hopefully, after taking time with the exercises in this lesson, you should be confident with the core physical aspects of alternate picking. Now it's time to apply it to the scales and licks you learn. Eventually, it'll become second nature - your pick hand will intuitively know the distance it needs to move to the next string, or even skip a string. The more time you spend practicing, and the wider variation of phrases and movements you challenge yourself with, the more this technique will sink in and become second nature.